What’s that smell? When there is a foul odor coming from your dishwasher cleaning your dishes with it just feels all wrong. While your dishes may be sparkling and fresh after a complete cycle a musty interior can defeat the whole cleaning process. 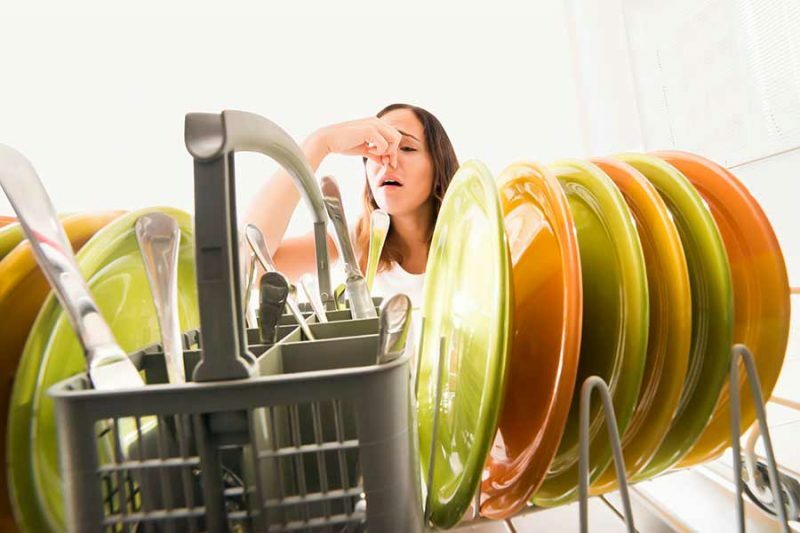 A foul-smelling dishwasher is a common problem that often gets blamed on the cleaning product. However, an unpleasant odor can be caused by a variety of factors. What should you do? Cleaning the bottom of the dishwasher isn’t the most pleasant of chores. It is, however, a necessary one. Over time a buildup of food particles can cause a rotten smell to develop. 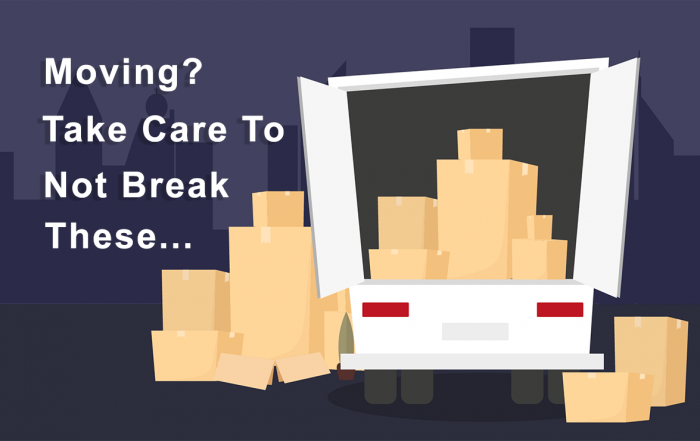 Old food particles will eventually lead to the growth of mold and bacteria which can emit a rotten egg smell. Additionally, old, rotten food can get sprayed up on your dishes during the wash preventing your dishes from getting really clean. Check the bottom tub and the food trap for substances that may be stuck in the drain. Removing substances that are stuck in the bottom is the first step in ridding the machine of the foul smell. When removing food remnants be sure to use a disinfecting soapy water solution. This will help remove the bacteria of that has grown in the machine and improve the overall smell. Be sure to clean the entire interior of the dishwasher. The filter inside your dishwasher is what ultimately ensures that your dishes are sparkling clean and fresh. The purpose of the filter is to prevent bits of food from circulating and getting stuck onto your dishes which can be unsanitary. During everyday use, the filter can easily become clogged with food particles. Some dishwashers utilize a self-cleaning filter yet most models are built with a manual filter that needs to be cleaned on a regular basis. Often, an unpleasant odor is a major indication that it’s time to give the filter a thorough cleaning. Removing a manual filter is fairly easy and it can be cleaned in minutes. Cleaning the filter with soapy water at least once a month will keep the unpleasant smells at bay. After you’ve cleaned the dishwasher itself, rinsed the filter and the smell still remains the issue may be due to poor drainage. The drain hose may be blocked with food. You’ll need to inspect the hose for blockage which leads to mildew and mold growth. Another possibility is that during the installation t the drain hose was configured improperly or too far down the garbage disposal drain line. This can cause tainted water to spew back up into the dishwasher. Since the garbage disposal and the dishwasher share a central line your best bet is to clean the garbage disposal to get rid of the smell. However, it is important to inspect the dishwasher connection because if installed improperly it can leave your home susceptible to sewage gas intrusion. This can be dangerous. In many areas, building codes require that there is an air gap when setting up a dishwasher connection. An air gap setup ensures that a dishwasher overflow backs up into the sink. In turn, this prevents waste from the kitchen sink from flowing into the dishwasher which can really cause a foul odor. If you don’t have an air gap connection you may want to consider having one professionally configured. Hard water is water that contains high mineral content. Hard water tends to leave behind a harsh, metallic smell that will attach itself to the dishes. In addition, will tarnish the finish on your silverware. There are numerous commercial products on the market that can effectively remove hard water deposits from the dishwasher. It’s important to keep the interior of your dishwasher smelling fresh. When left unchecked, unpleasant odors can begin to transfer to your dishes and silverware. That’s why a good cleaning routine and active prevention is essential. If you’re having trouble determining the culprit behind your smelly dishwasher it may be time to bring in reinforcement. At It’s Fixed Appliance Repair we have a team of skilled professionals available to provide quality service seven days a week. Contact us right away to book an appointment.